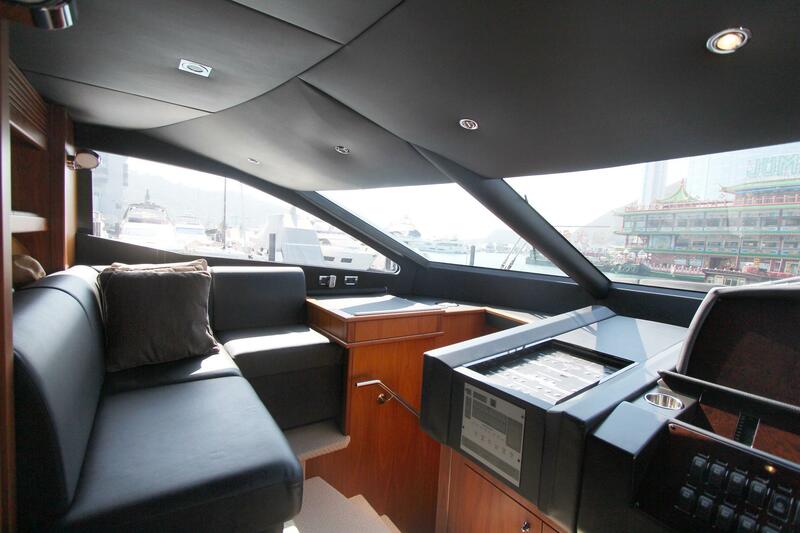 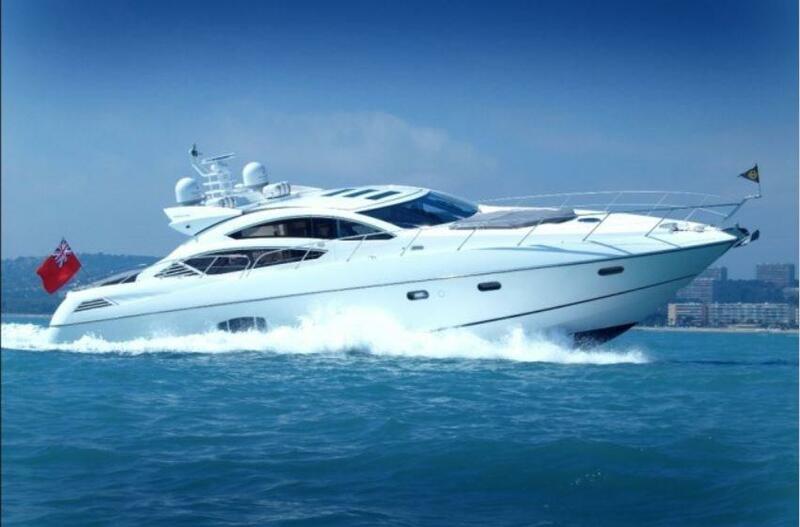 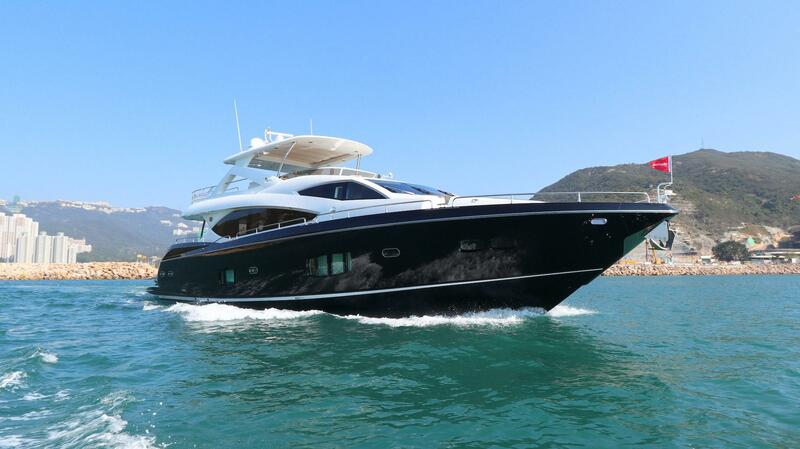 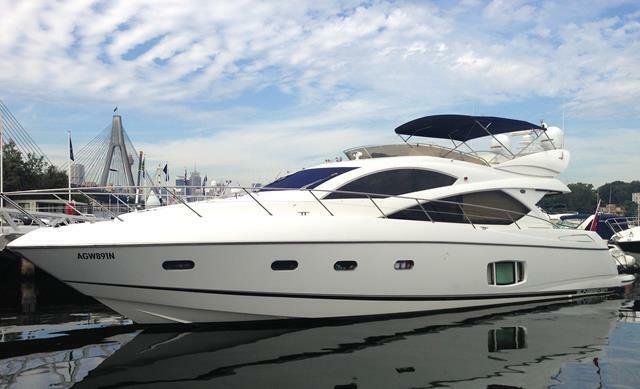 This immaculate 2010 Sunseeker 88 Yacht will catch your attention the moment you step on board. 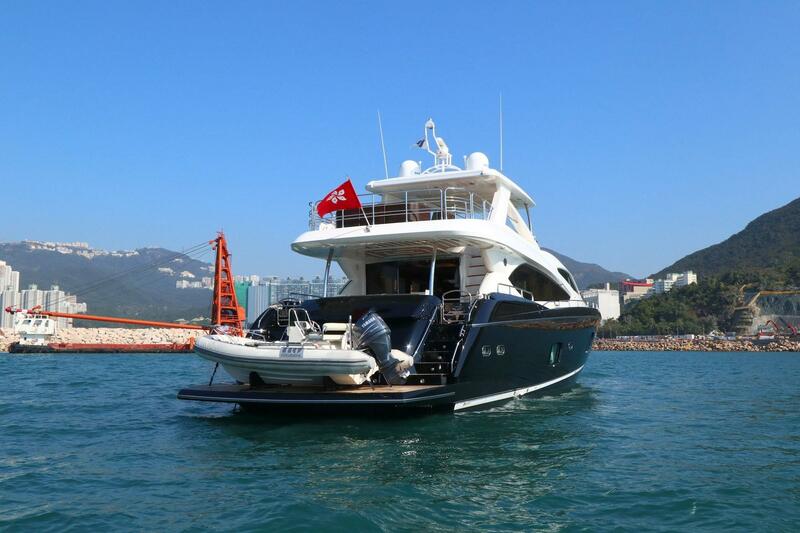 She is very well presented (in better condition than similar vessels in Hong Kong), and is offered for sale at a fair and realistic price. 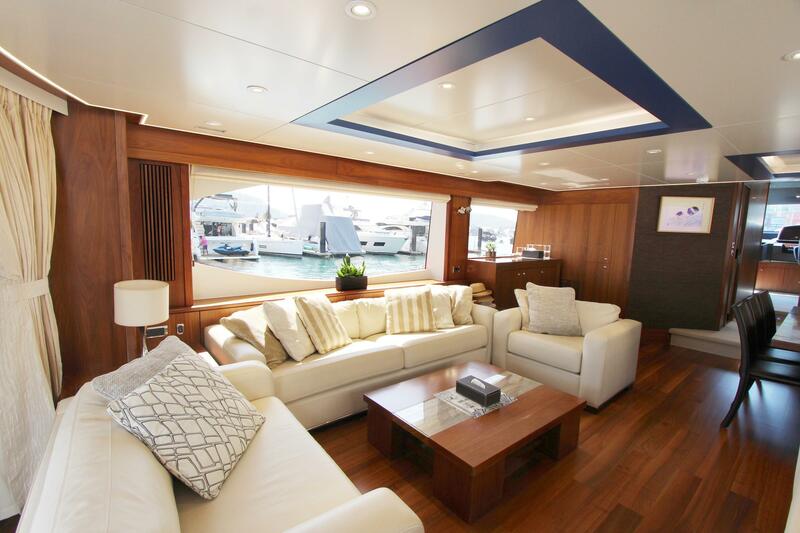 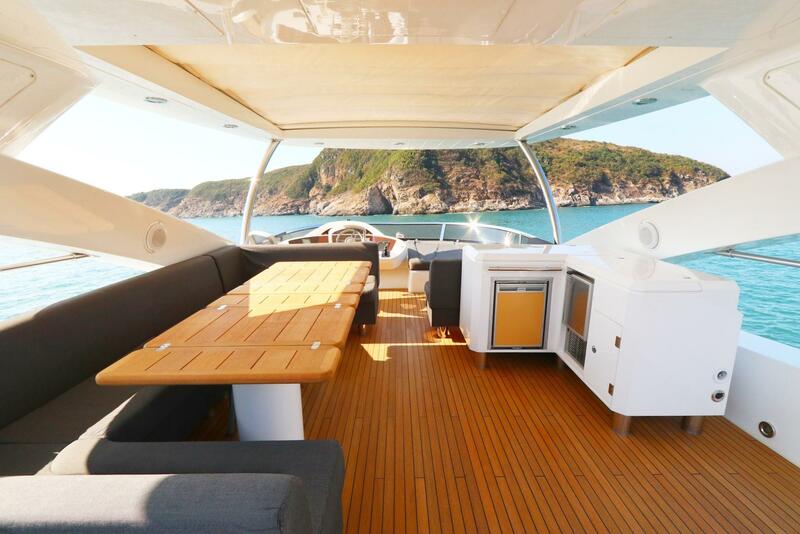 Specified in a tasteful and welcoming manner, including upgraded American Walnut woodwork, there is ample space for entertaining clients, family and friends in the yacht's brightly-lit saloon and party-size flybridge. 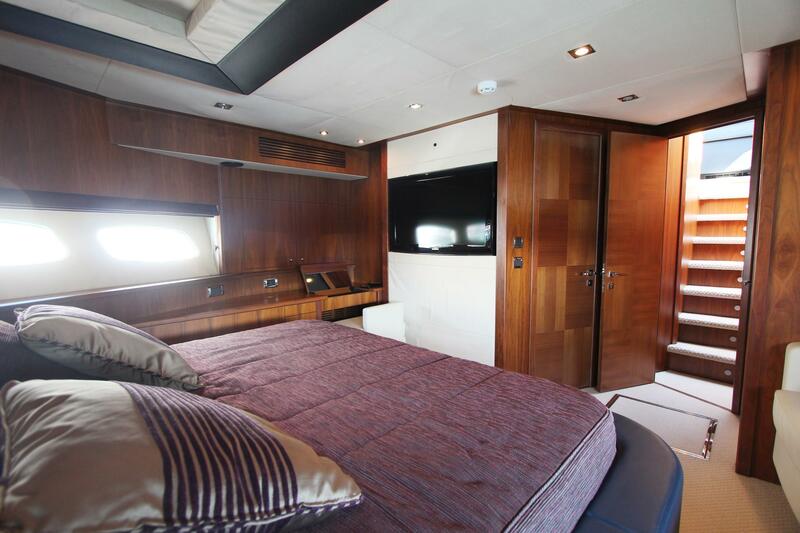 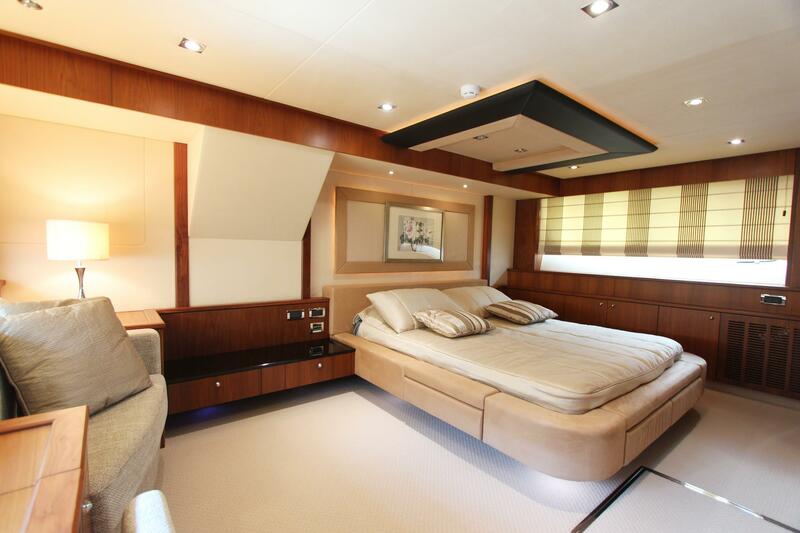 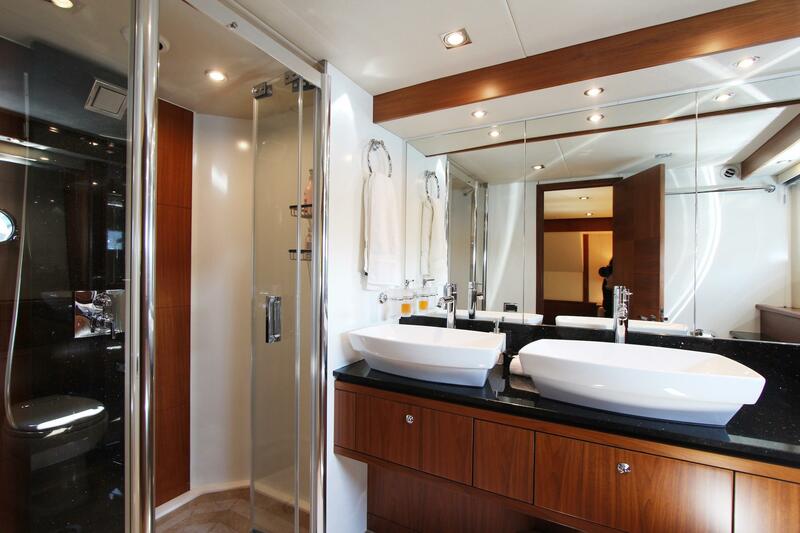 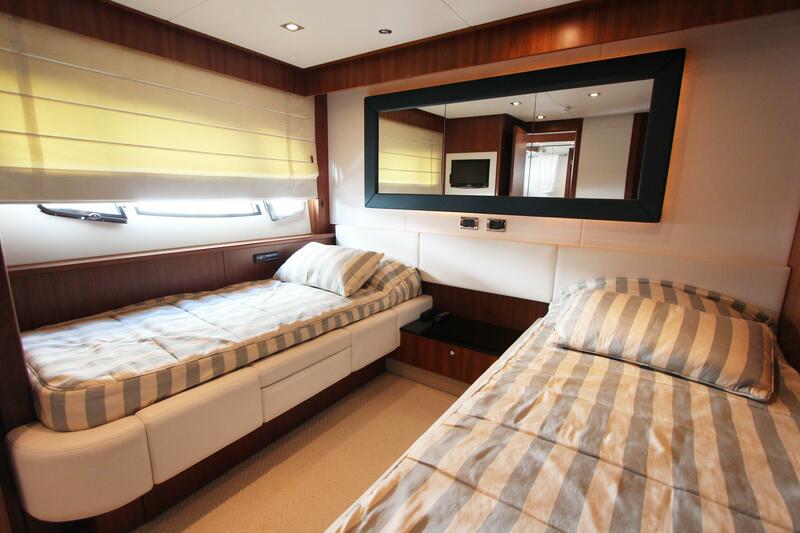 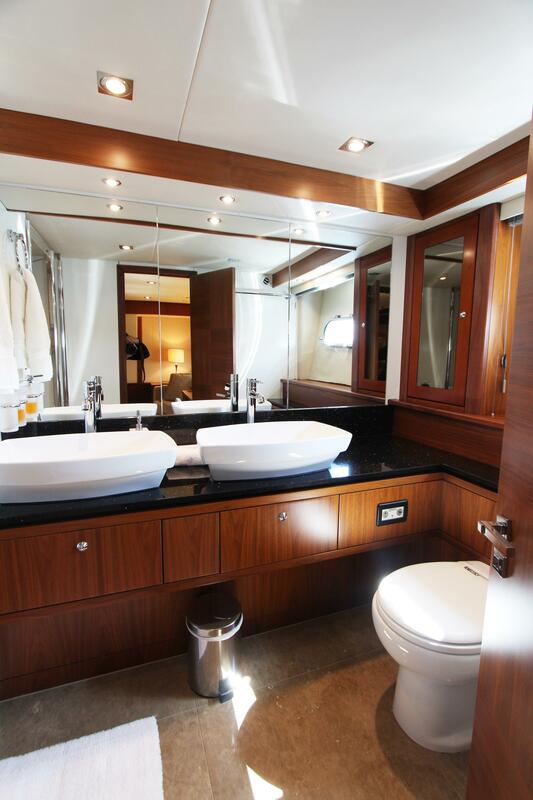 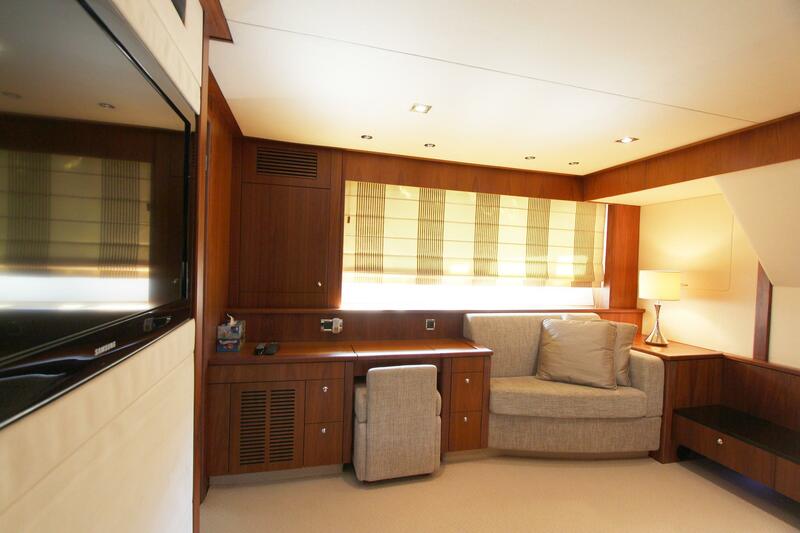 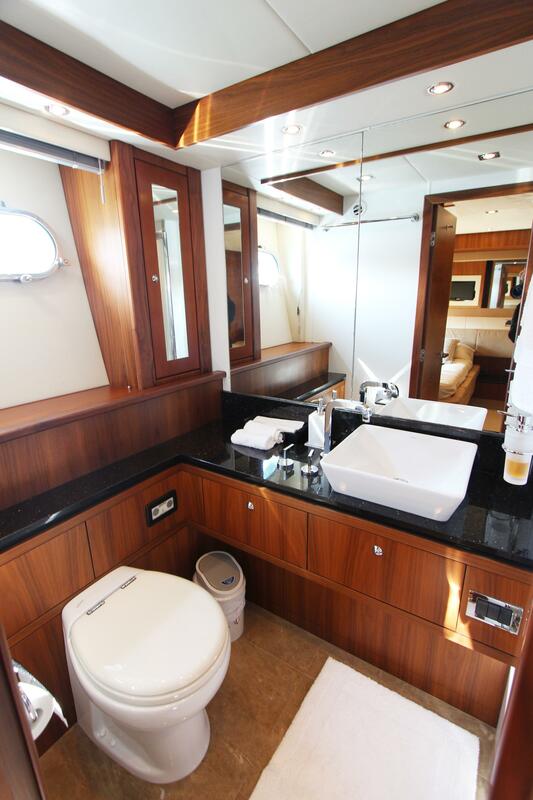 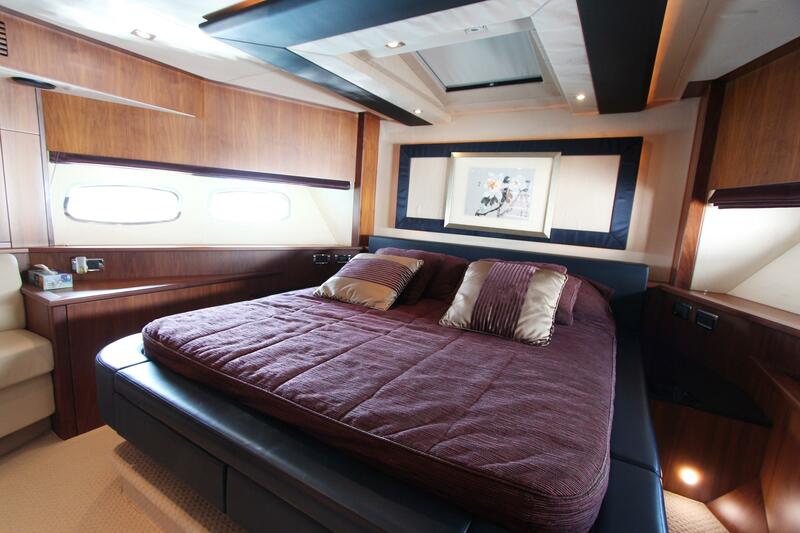 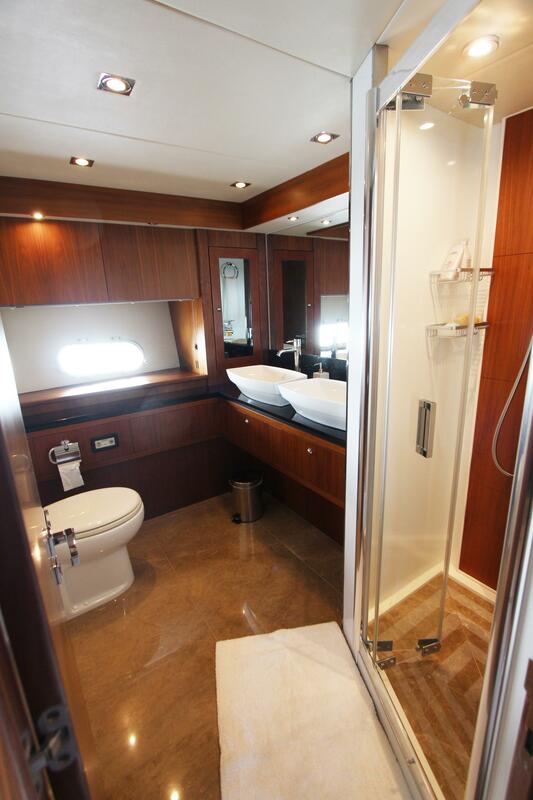 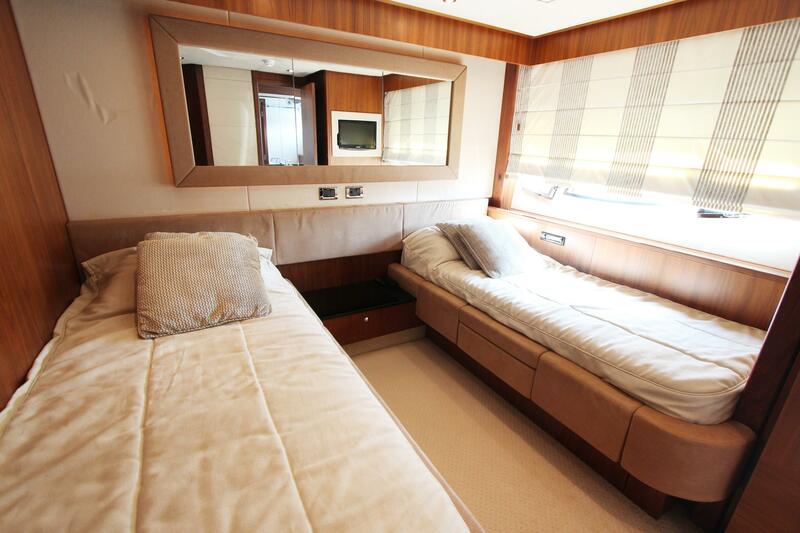 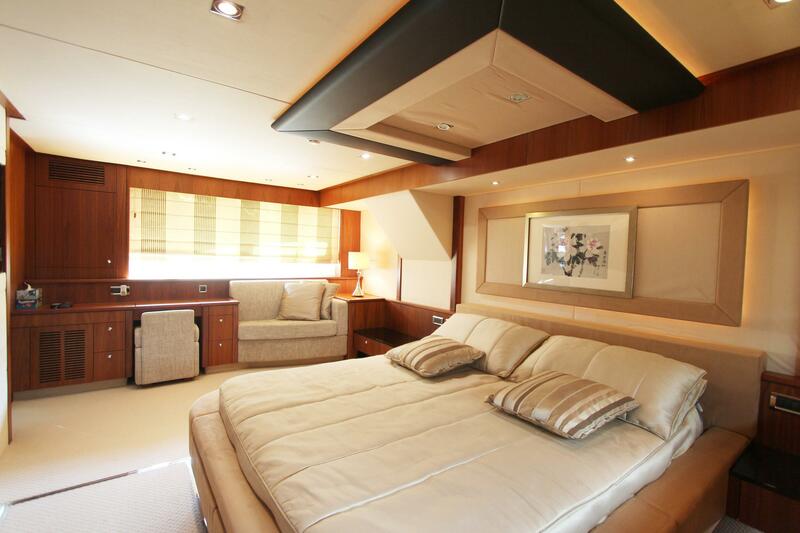 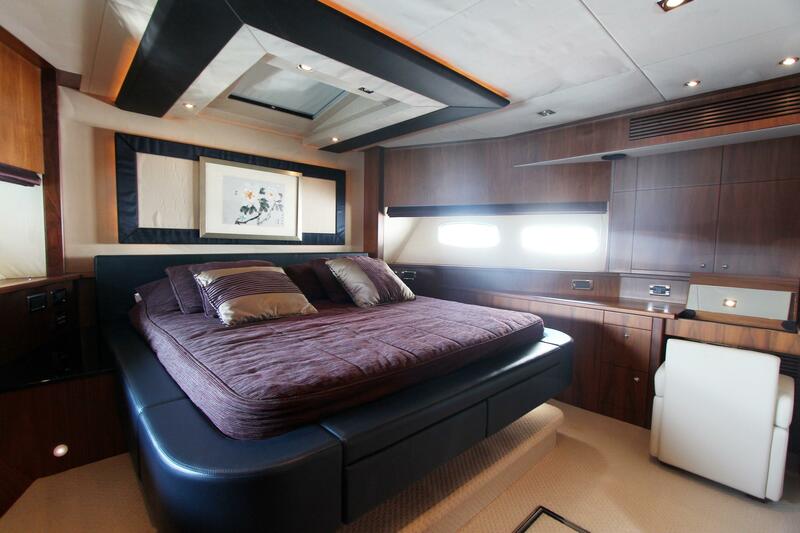 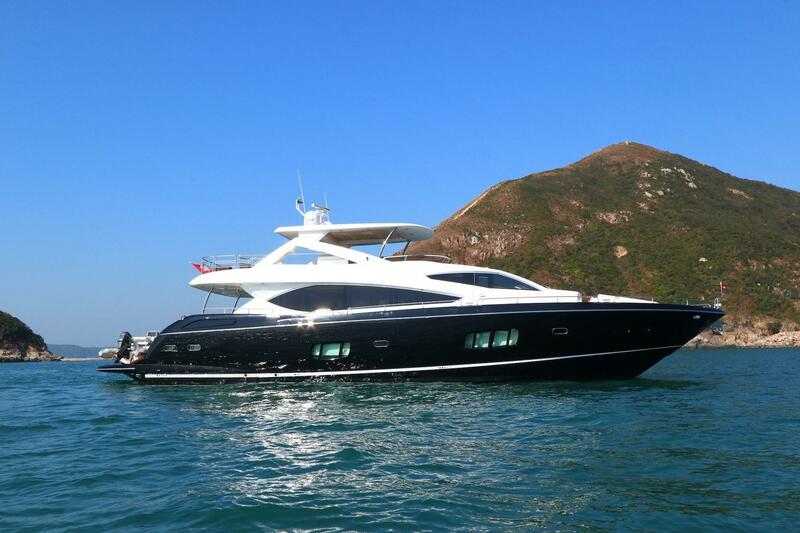 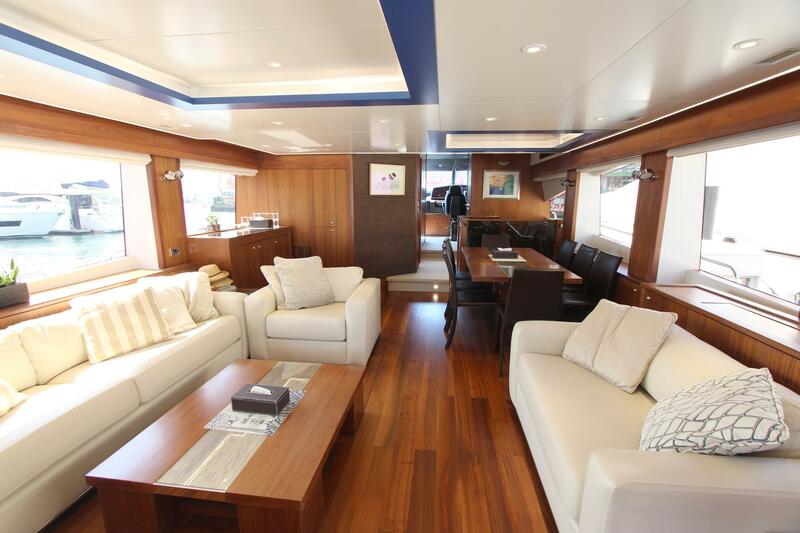 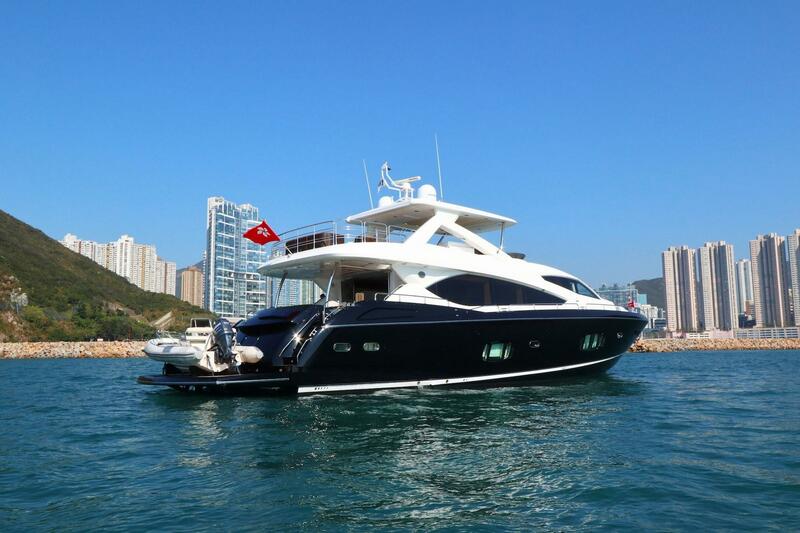 For overnight excursions, this Sunseeker 88 Yacht sleeps eight guests in her four ensuite cabins. 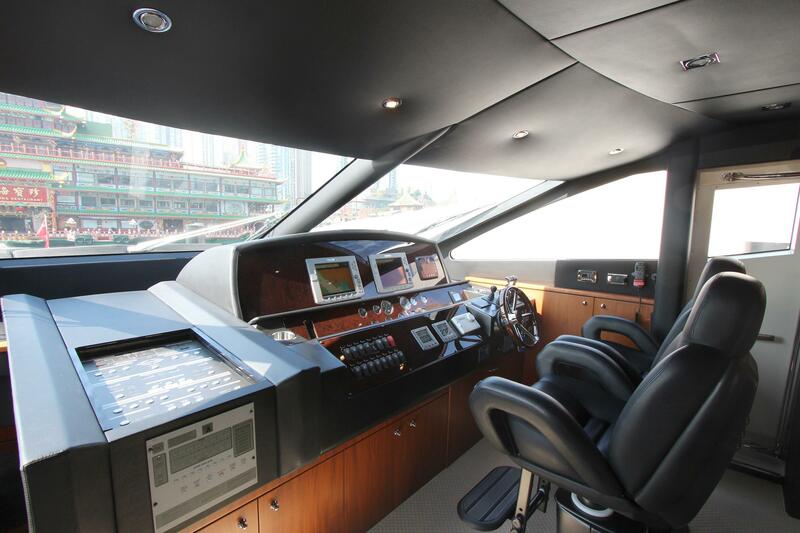 Twin 1950hp MTU (12V 2000 M94) engines propel the yacht to a top speed of 30 knots, while she comfortably cruises at 21-23 knots. 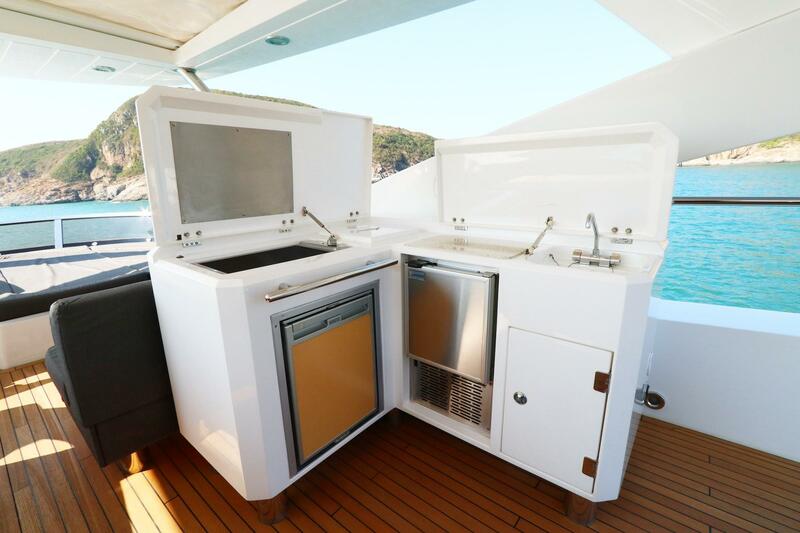 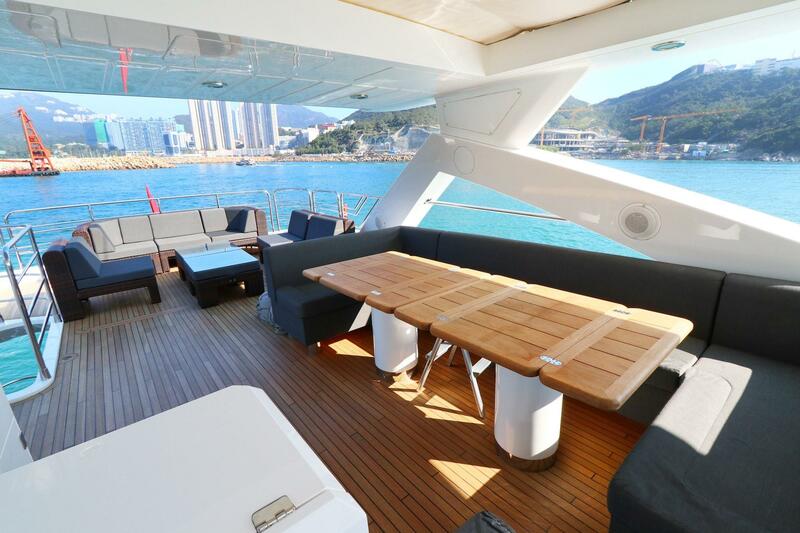 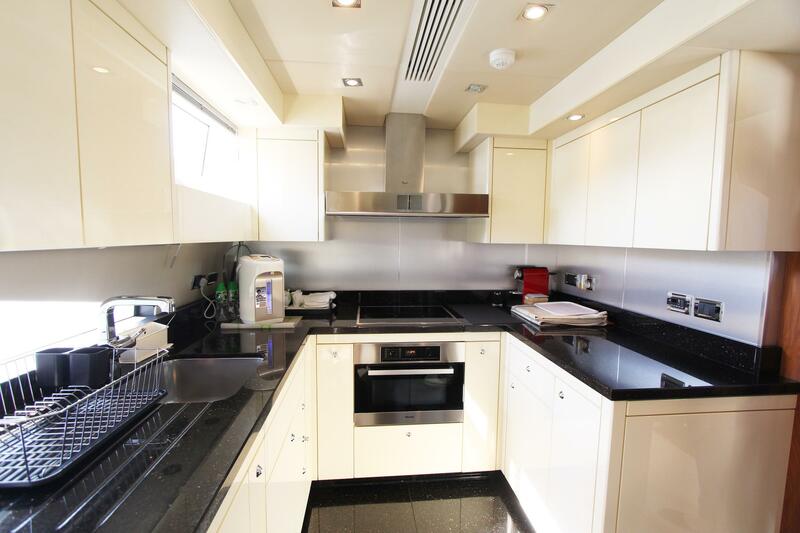 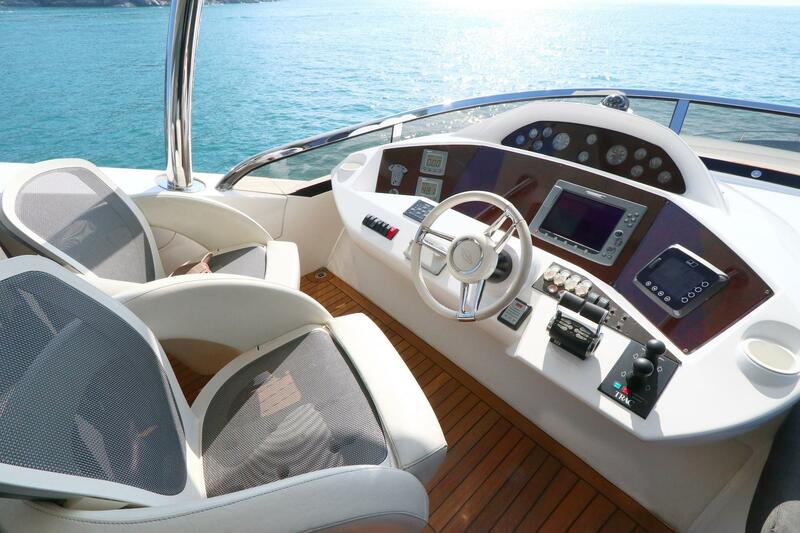 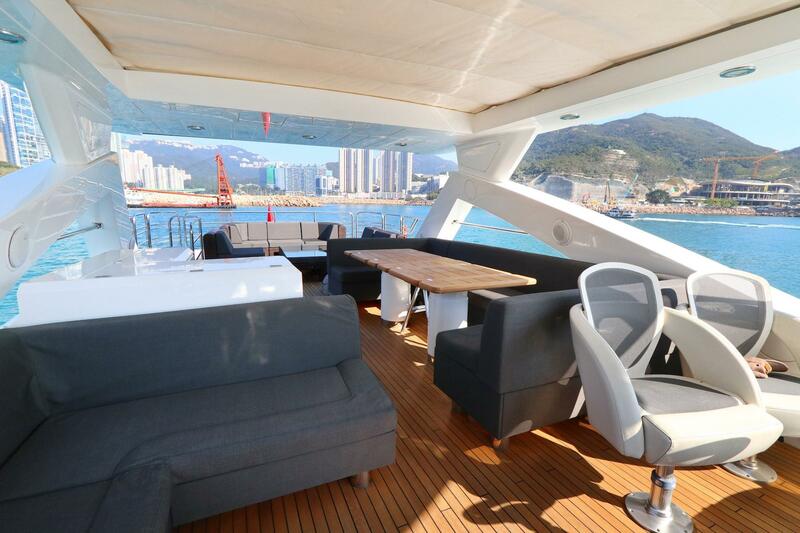 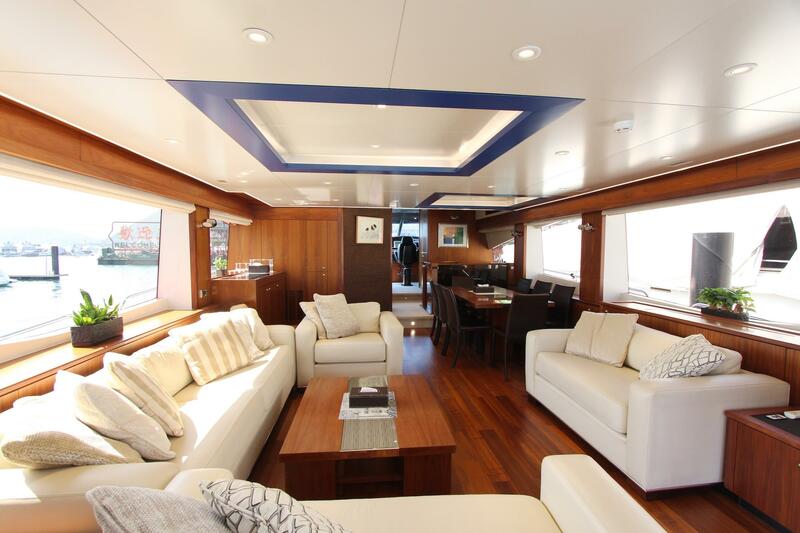 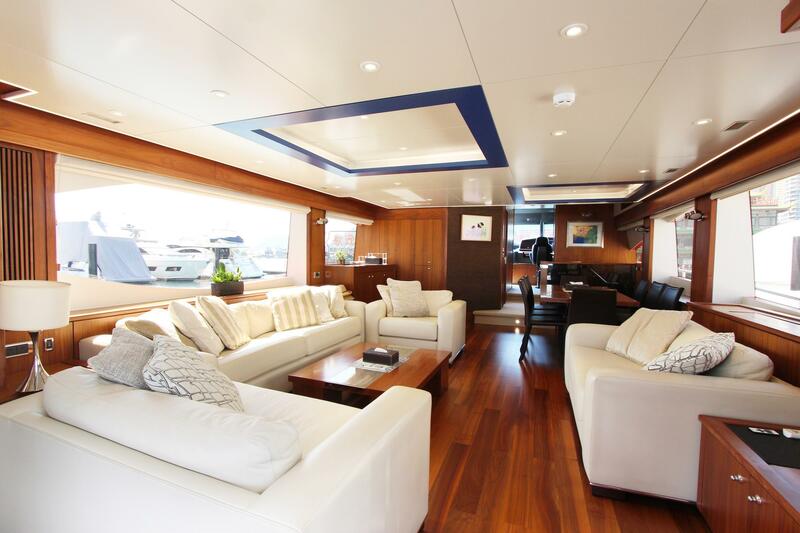 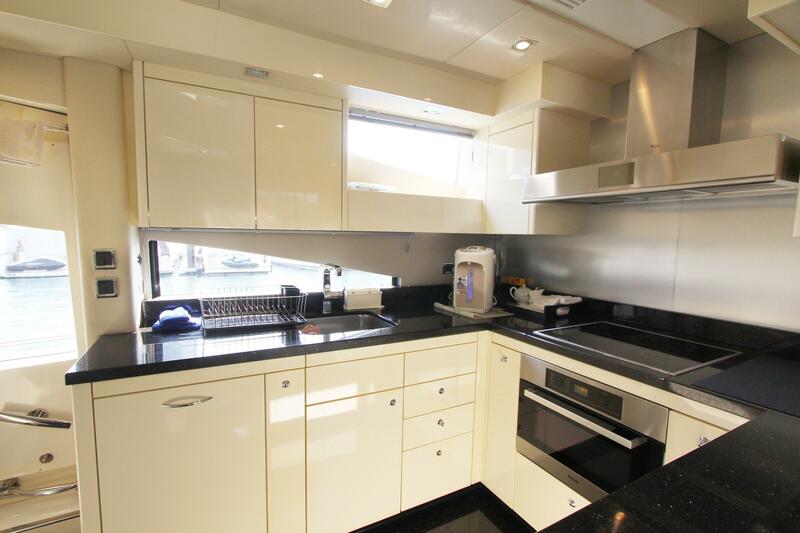 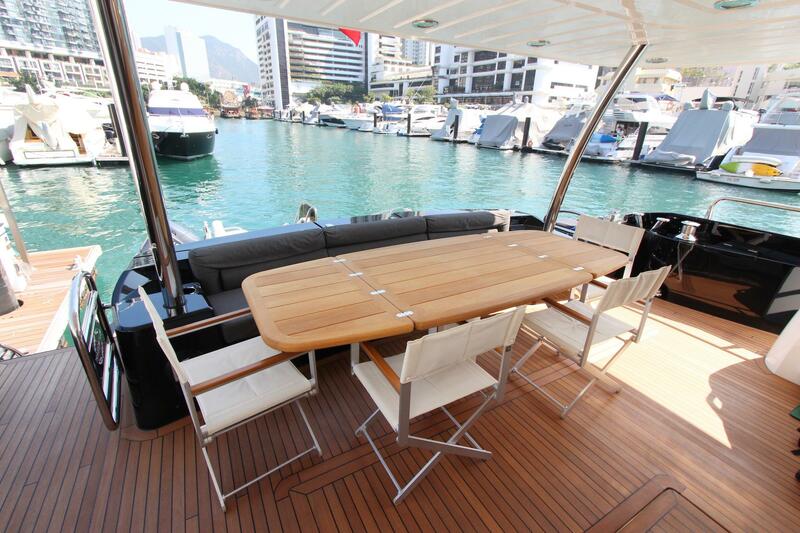 With comfort in mind, the yacht is equipped with a modern galley (Miele, Whirlpool and Bosch appliances), upgraded tropical air conditioning, and Trac Star digital fin stabilisers (providing roll control at speeds over 13 knots and significant roll reduction while at rest or anchor). 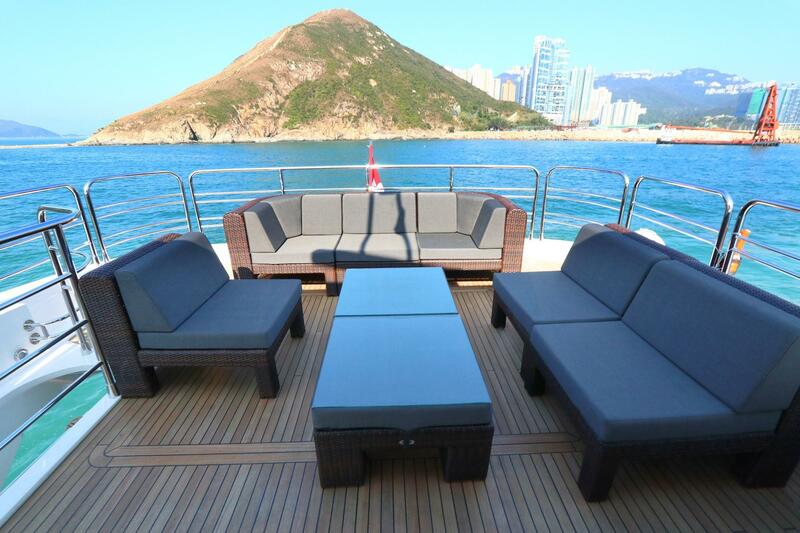 Owned by the same family since delivery, this luxury yacht has been carefully looked after by her full-time crew. 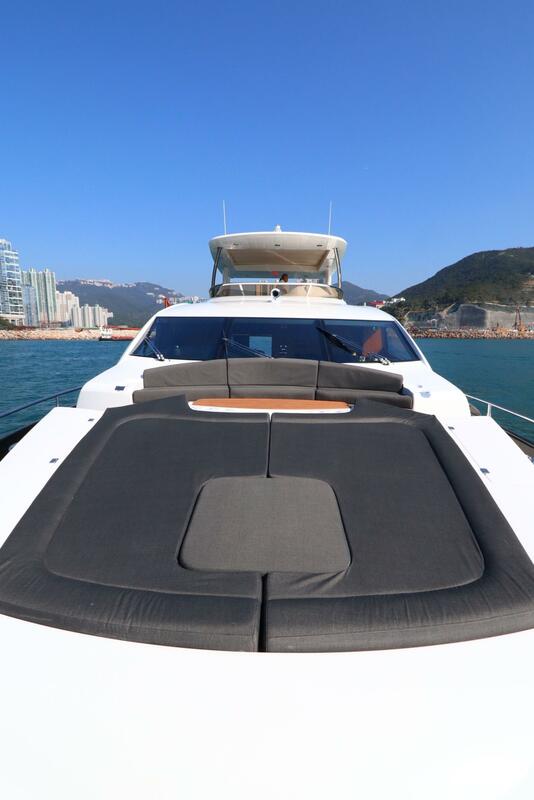 When not in use, the yacht has been protected from the elements by a full-length cover, so the black gelcoat does not suffer from the clouding that is typical for vessels in the tropics. 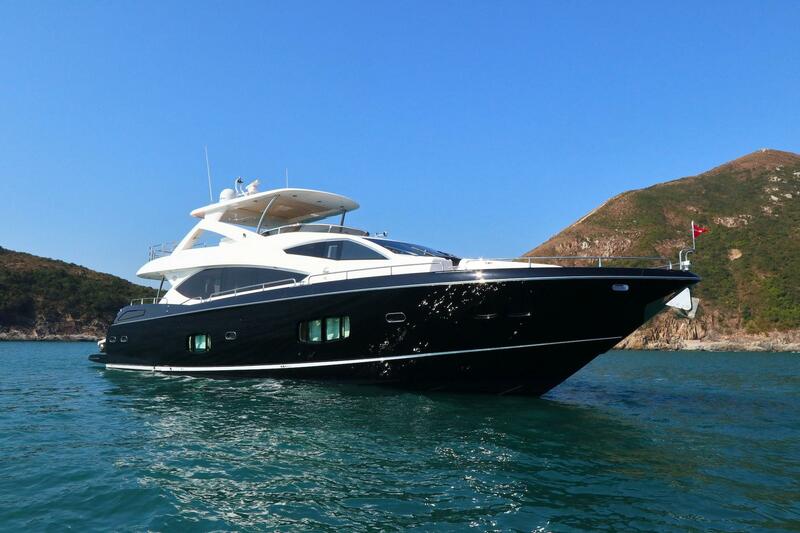 Summer weather will soon be upon us; this turnkey motor yacht is available for your inspection, please contact us for an appointment.